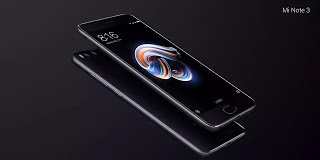 We can recall that the Xiaomi Mi Note 2 was released about a year back,and now Xiaomi has reported a different line up in the Mi Note series called Xiaomi Mi Note 3. Contrasting the Mi Note 2 and Mi Note 3, they are both huge cell phones with a few contrasts, regarding screen measure, RAM, processor, interior memory, battery limit and camera. Xiaomi Mi Note 3 will be coming in two variations - one with 64GB inbuilt memory and the other with 128GB inbuilt memory, the two variations will be accompanying a similar RAM of (6GB RAM). check out more features below. Cost About 350 EUR/$420 USD/NGN 150,000.